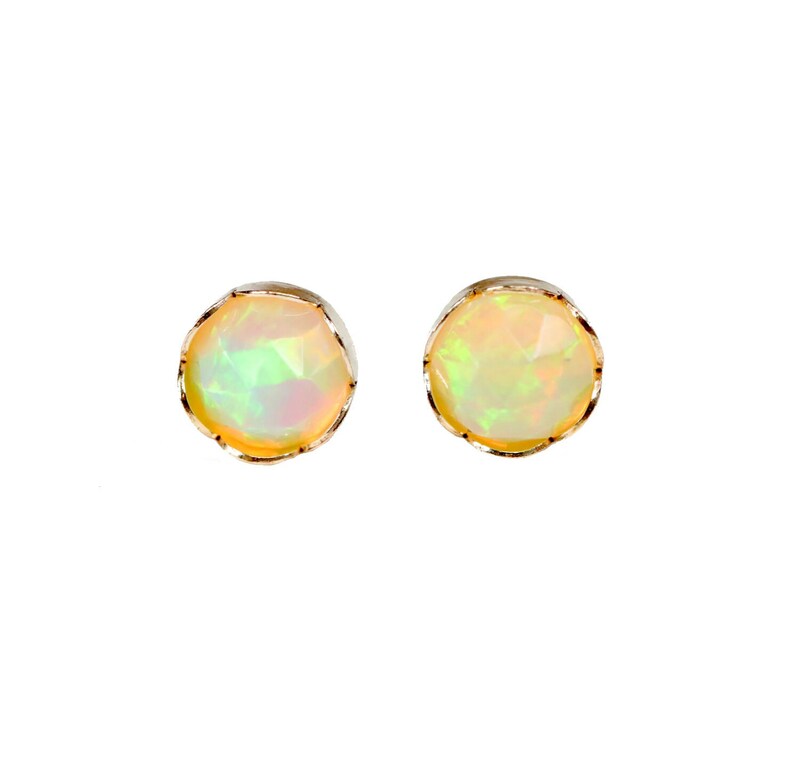 These are simple, elegant, contemporary gemstone stud earrings. 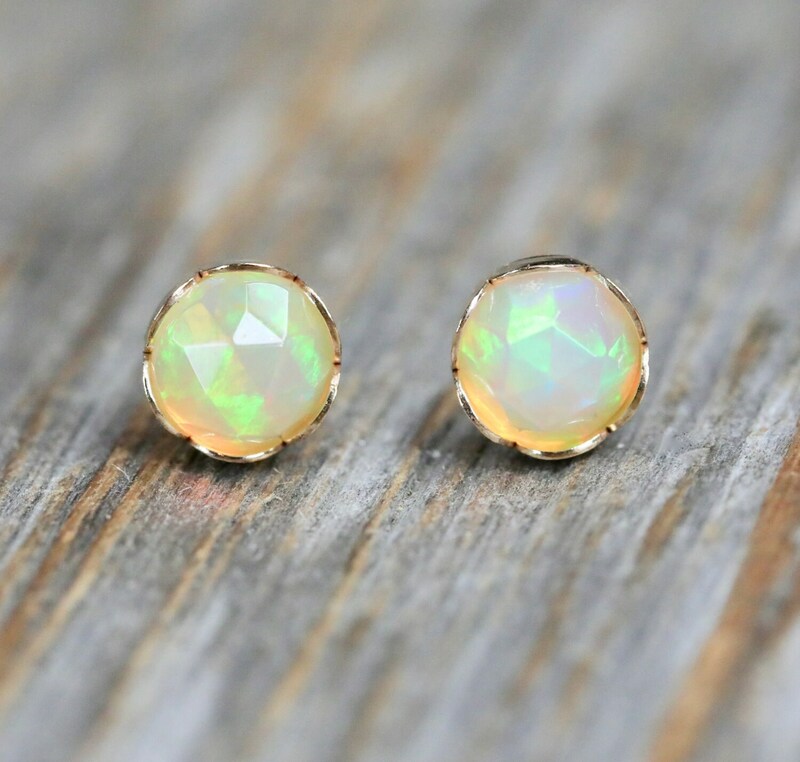 These faceted opal gemstones are gem quality and I have tried to capture these opals in different lighting settings and backgrounds as the opals look different depending on the lighting and angle with the amazing color play. 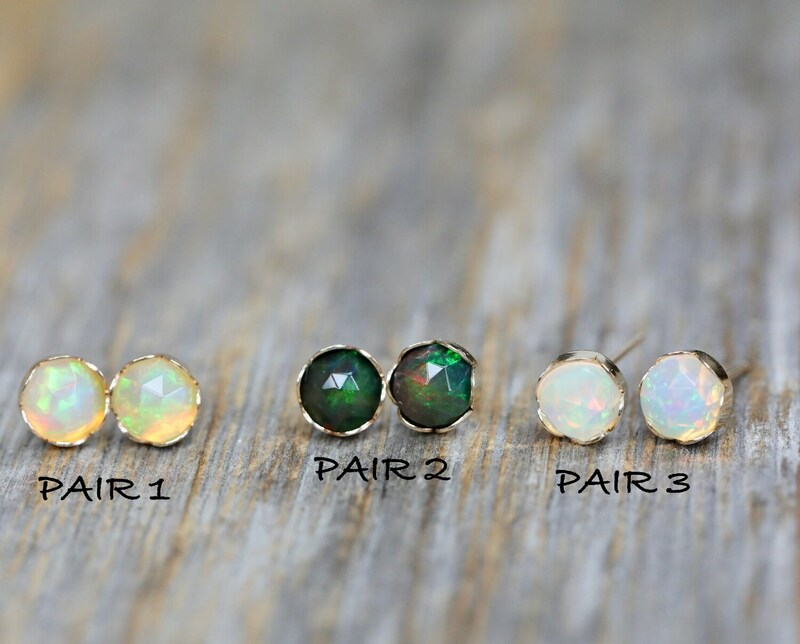 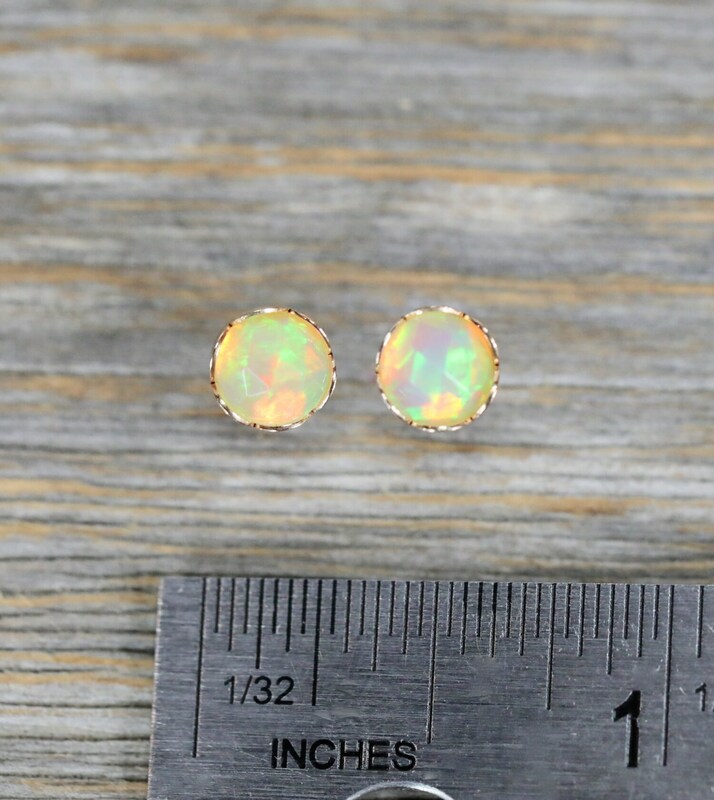 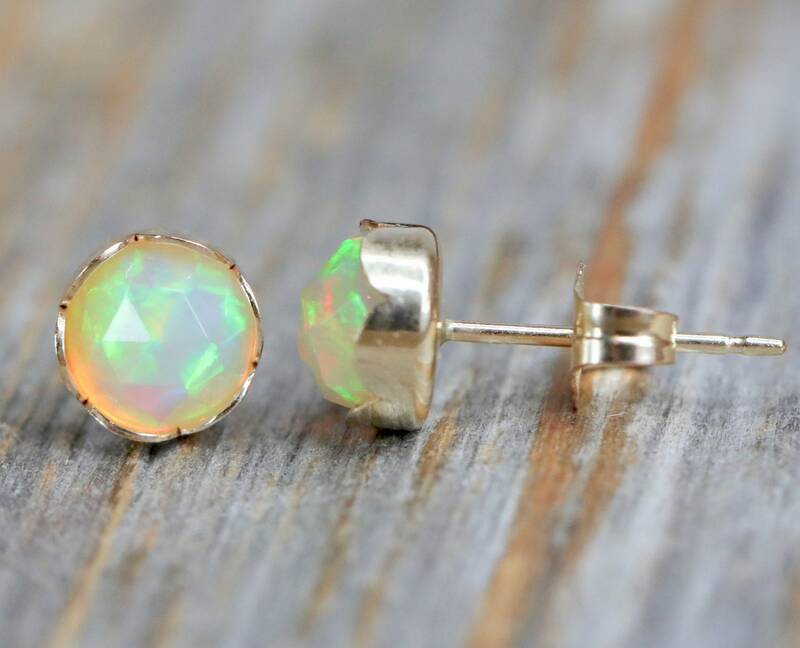 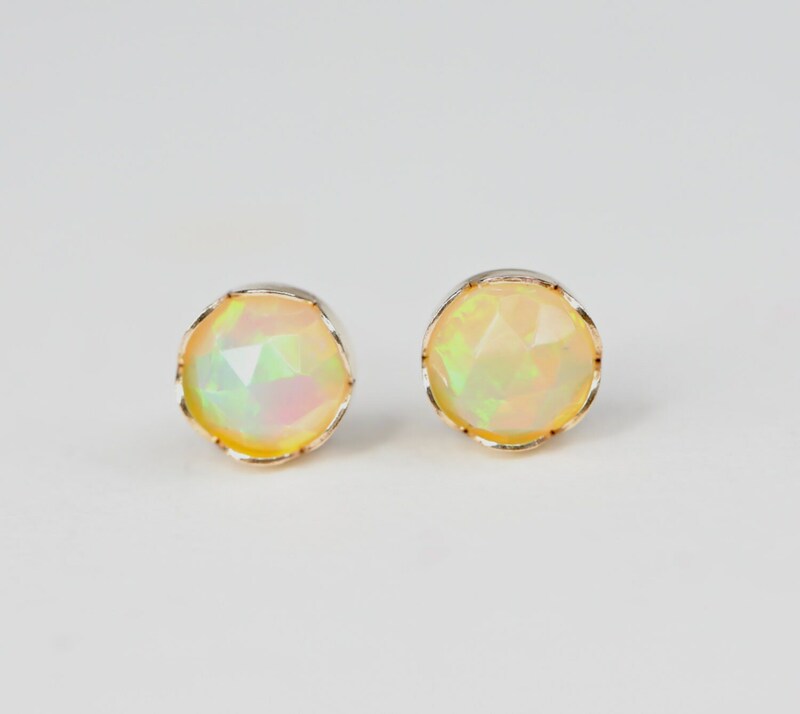 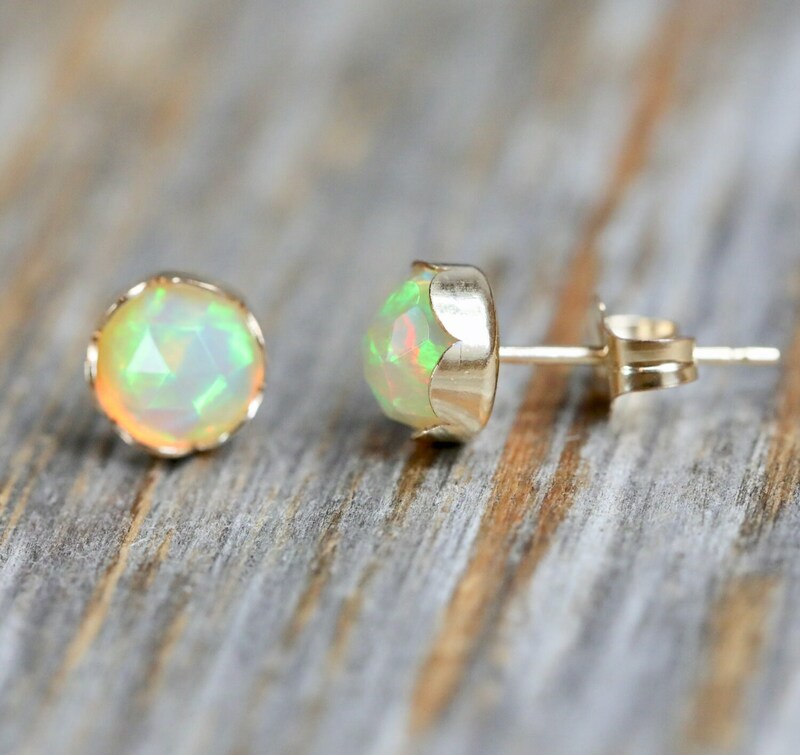 This offering is for ONE pair of earrings only - the white Ethiopian opal pair labeled 1 in the photo with 3 pairs and this pair is seen alone in all other photos.